Here at Rada Cutlery we not only sell knives but kitchen utensils as well. 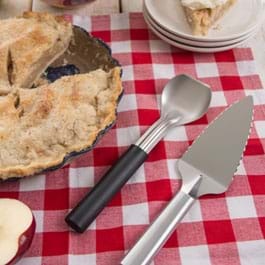 Our made in the USA kitchen utensils range from spatulas to Handi-Stirs to pizza cutters. We have four new non-scratch cooking utensils that are safe for non-stick pans. They include: the Non-Scratch Soup Ladle, the Non-Scratch Spatula, the Non-scratch Spoon and the Non-Scratch Spoon with Holes. Shopping for kitchen products that are made in the United States is easy with Rada Cutlery. We offer 30 products that you will love--all manufactured in the US. 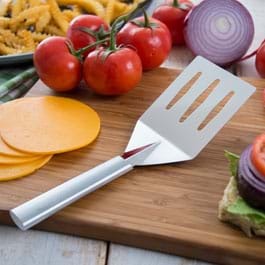 Some of our more popular kitchen utensils are the Quick Edge Knife Sharpener, Serverspoon, Pizza Cutter and many more. 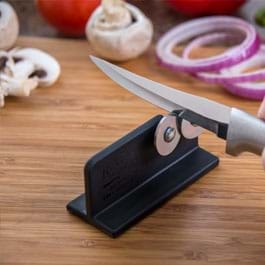 Customers love the Quick Edge Knife Sharpener because it is a quick, easy, hassle-free way to sharpen your knives. You simply run your knife through the two specially hardened wheels. This motion leaves your knives as sharp as the first day you bought them. 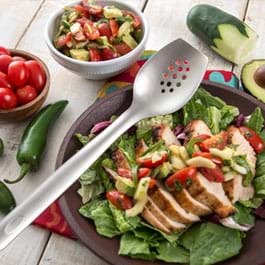 The Serverspoon is a versatile, stainless steel spatula. 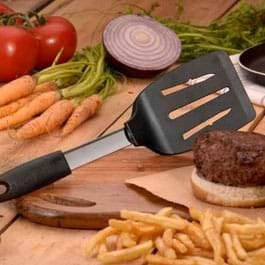 This little spatula does more than just serve foods, like desserts, it also works great for preparing food. 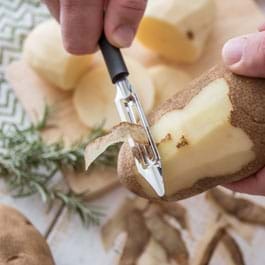 You can easily mix and scrape foods with this kitchen utensil. The Pizza Cutter is a favorite because it easily slices through all types of pizza. It does not matter if you are a deep-dish, thin crust, or homemade pizza lover, you will get a clean slice with the Rada Cutlery Pizza Cutter.